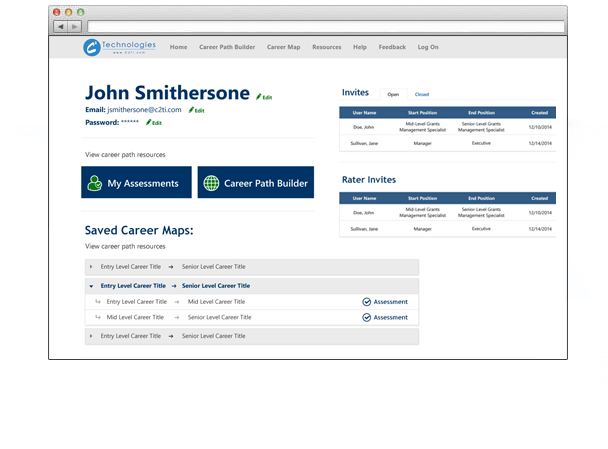 Your employees’ skills and commitment will soar when you offer them our Career Pathing tool, demonstrating that you value their career development and are dedicated to making their advance possible. 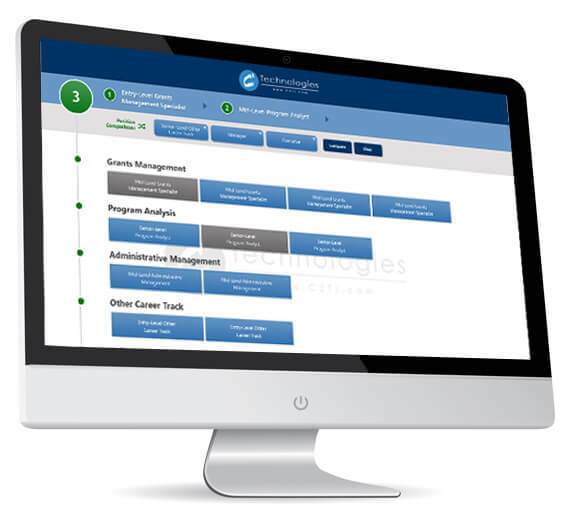 Our Career Pathing tool helps your employees to visualize and compare alternative career outcomes, to assess their progress in their current careers, and to evaluate where they stand—and where they should stand—in the job competencies and skills attainment expected of them. Opening these possibilities through Career Pathing calls forth greater employee commitment and retention than ever before. 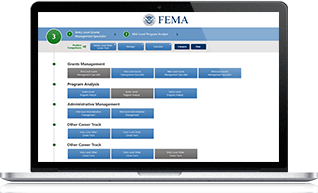 The C2 Career Pathing Tool (CPT) organizes and structures career information and provides employees with resources and guidance to manage their careers. 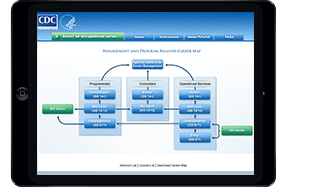 Employees can use the CPT to view typical career paths and the ways in which they interconnect. 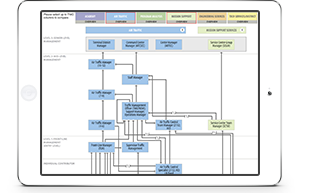 Users can also explore paths within specific occupations and build customized career progression plans to take them where they want to go. Detailed developmental guidance provided by the Career Pathing Tool helps employees focus and accelerate growth to reach their goals faster and more efficiently. 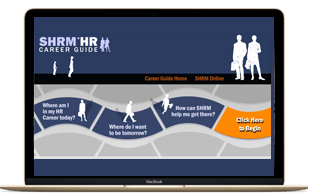 The Career Pathing Tool also provides detailed career guidance for each career transition, including brief summaries of job responsibilities for positions of interest and the key competencies required for success in that position. 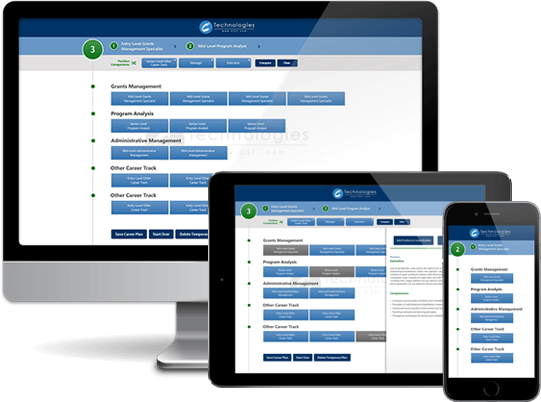 Our software provides employees with tools to build out meaningful career paths based on their goals and areas of interest, review skill gaps against future jobs, and engage in relevant learning experiences that prepare them for their next roles. the work environment. Employees are looking at their careers in new ways. Today, employees are navigating career lattices that provide new insights into career pathways of all types. C2 Technologies offers a solution that gives employees ease of use and flexibility to explore their paths.